BY the third quarter of the 18th century, there was one word in Britain that was both loved and hated, and reviled and admired. The word was Nabobs. They were not the usual Nawabs, who ruled small and large territories in India. They were the junior and senior servants of the East India Company, who came back with huge riches from Hindoostan, bought expensive town houses and huge tracts of rural land, and bribed their way to political power, or a seat in British Parliament. The Nabobs became a part of neo-aristocracy that threatened the old order. A 1773 pamphlet claimed: “Lacks and crowes (lakhs and crores) of rupees, sacks of diamonds… jaghirs and provinces purloined… have found the delights and constituted the religions of the Directors (of East India Company) and their servants.” In the same year, another writer lamented, “What is England now? 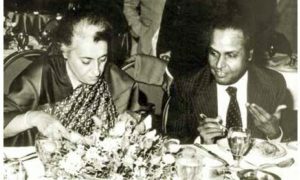 A sink of Indian wealth, filled by Nabobs…. A gaming, robbing, wrangling, (and) railing nation without principles, genius, character or allies.” Author Lawrence James felt that the Company was “a sort of Frankenstein’s monster or, as another writer put it, “an empire within an empire”, albeit a despicable and deceitful one. 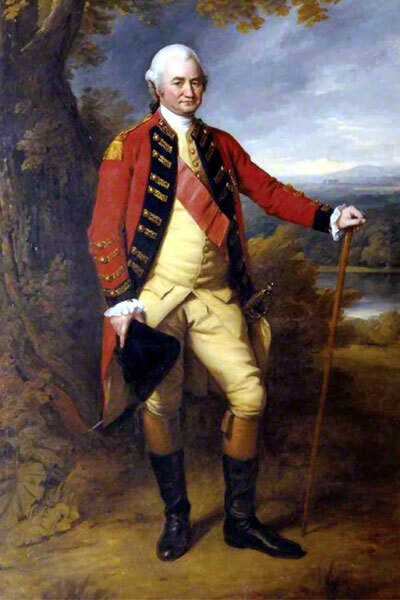 Robert Clive, the Governor of Calcutta, was the original Nabob, the Nabob of Nabobs. As a military commander, he was audacious and risk-taker, as a politician, he was manipulative and schemer, and as a businessman, he knew how to break and skirt rules, and use politics as a personal tool. For him, the means justified the ends, i.e. personal power and greed. But he also had his loyalists and devotees, including the Indian writer, Nirad C Chaudhari, who wrote the seminal book, Clive of India. There are varying estimates of Clive’s wealth. Author John Keay wrote that his share of the £2.5 million paid by Mir Jafar after the Battle of Plassey (1757) was £234,000. 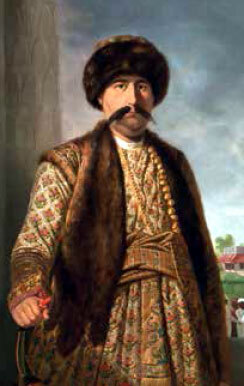 Jafar, aided by the British and other co-conspirators, including Hindu and Sikh bankers, and Armenian and other traders, became the Nawab of Bengal after the defeat of Siraj-ud-Daula’s huge army. Clive used a part of the money to buy properties in England, which included a town house in Berkeley Square (£10,000) and 10 square miles in rural Shropshire (£70,000). What was more appalling for the British public was the £30,000 jagir (Keay’s estimate), or perpetual annuity for life, that Clive extracted from Jafar in 1759. The galling aspect was that the jagir comprised the 24 Parganas area in Bengal, which was under East India Company. Hence, as Keay explained, “The Company had to remit the fees to collect revenues in this area not to the Nawab (Jafar) but one of its employees (Clive).” In essence, Clive became his employer’s ‘Overlord’ or ‘Landlord”. 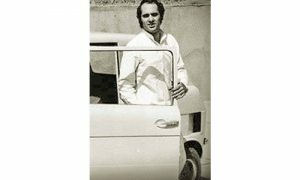 Over the years – Clive had three stints in India – he found ingenious ways to enhance his riches. 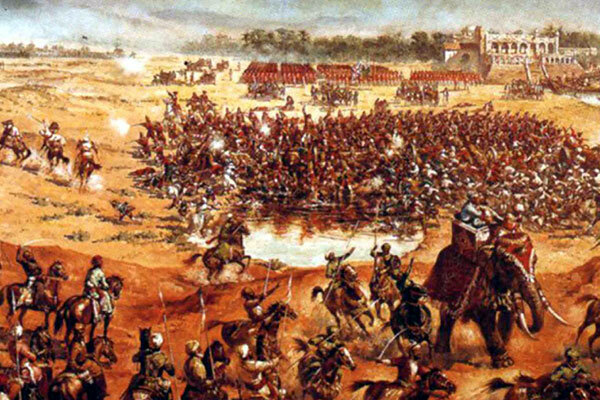 For instance, after the Battle of Plassey, Rai Durlabh, one of the conspirators, controlled the Nawab’s treasury. But he was secretly in league with the Nabob. In return for a payment of 5 percent “of all sums made over to the Company”, Durlabh agreed to interpret the agreement between Jafar and East India Company in a manner to ensure that “private individuals like Clive benefitted”. WHEN he became Calcutta’s Governor in May 1765, he ensured that the Company monopolised the internal trade in Bengal, Bihar and Oudh (Uttar Pradesh) – the latter two came under British control after the Battle of Buxar (October 1764). Traders now had to pay dividends to senior Company employees to compensate for their low salaries and restrictions on private trade that was freely allowed earlier. The annual pickings through this route were £200,000; Clive’s share: £21,000. The shenanigans continued. When he reached Madras, on his way to take over as Calcutta’s Governor, Clive dispatched a secret letter to his agent in London. The communiqué instructed the latter to invest all the former’s money, including what could be borrowed “in my name” to purchase the Company’s shares. His loyalists claimed that this was to get more voting rights to influence the decisions of the company’s directors and board. 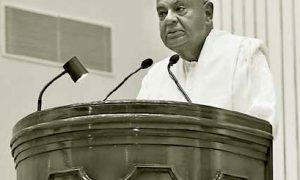 His detractors contended that the plan was to get higher dividends from the higher potential Indian revenues after the Battle of Buxar. As Keay concluded, “Either way there can be no question that the transaction (instruction) was prompted by the news that he gathered at Madras (about the additional control over Bihar and Oudh) and that he used the news for personal advantage.” It was a classic case of insider trading, although it wasn’t illegal in those days. Whenever he got the opportunity, Clive used his wealth to impact the Company’s operations, as well as to nudge the politicians’ actions vis-a-vis the Company. TWO hundred and sixty years after Clive first landed in India as a junior-most clerk in 1744 at an annual salary of £5, we got a real idea about his wealth. At the 2004 Christie’s auction in London, some of his ‘India’ loot was sold by his family. A report said, “Rare Mughal treasures that were brought to Britain by Robert Clive… were sold for £4.7 million….” It added, “The highest price was more than £2.9 million… for a 17th century jewelled flask”, which was “probably looted from the Mughal… by Nadir Shah, a Persian king who invaded India in 1739”. No one had any idea how Clive acquired the flask. Similarly, not many have credibly explained his transformation from a short-tempered child “prone to depression” to an over-acquisitive and materialistic person, an army commander who led from the front against all odds, or a motivated individual with grand personal and imperial designs. However, this might be because some of the legends, at least, are just that – embellished myths perpetuated by Clive’s supporters and beneficiaries. His military exploits, for instance, are now tempered. In 1746, or two years after Clive arrived, the army of French Compaigne (Company) ransacked the British fort in Madras. Clive, along with many others, “simply contrived to escape” to the adjoining fort in Pondicherry. 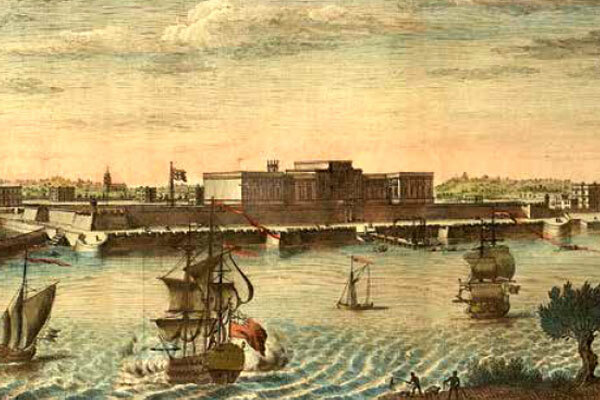 The capture of the British Calcutta Fort on New Year’s Day in 1757, several months before the Battle of Plassey, but after Siraj-ud-Daula occupied it the previous summer (1756) because of long and ever-growing grudges and feuds against the British, was “accidental”, and not because of Clive’s feats. According to some accounts, Clive wanted to assault the first line of defence to the Calcutta fort at dawn. However, in the night, an inebriated sailor of the British Royal Navy staggered towards the Baj-Baj defence, waded across the water moat, and scaled a breach in the walls caused by the British cannons the previous day. He was surrounded by “incredulous guards, but the sailor “flourished his cutlass (a short sword with a slightly curved blade used by sailors in those days) and fired his pistol”. The British soldier cried, “This place is mine.” Hearing the commotion, his comrades in the no-man’s land rushed forward. They were followed by other sailors, sepoys (Indian soldiers in British army), and British troopers. The Nawab’s guards and garrison melted away. Thus, Baj-Baj, the “first” and, as it turned out later, “and only obstacle to Calcutta fort” was won “by mistake”. The only British soldier, who died that night, was also felled by a mistake – he was shot by a bullet fired from a British army musket. Even the grandiose Clive’s victory in Plassey, according to James and Keay, was due to luck, pluck, accident, and irony. Although the two versions are not in sync, both the Nabob and Nawab were unsure about the loyalties of their supporters. Clive wasn’t convinced that co-conspirator Jafar, a senior commander in Siraj-ud-Daula’s army, would commit his troops to aid the British. He was also unsure about Jafar’s troop positions. Siraj-ud-Daula was uncertain about the loyalties of his commanders. So, while Clive was attending to his wardrobe, Siraj-ud-Daula backed off from a depression that his artillery occupied. A major on the British side spotted it, and immediately “swept forward” without Clive’s order. When the latter returned to the battlefield, he shouted at the major, but realised the opportunity, and asked for reinforcements. Fortunately, Siraj-ud-Daula didn’t launch a frontal attack. His troops “massed around” the British didn’t rush in for a flanking attack to cut them off because they were possibly under the commands of his conspirators. Irony accompanied the events. When the Nawab’s gunners accidentally set fire to gunpowder and added to the confusion, Jafar dispatched a messenger to let Clive know about his troops’ positions. However, the fire was so high that the messenger refused to cross the battle lines. Until the victory, Clive was suspicious about Jafar’s intentions. The occupation of the ‘depression’ by the major proved to be the turning point in the battle. BUT to be fair to Clive, there are examples of his leadership prowess too. The siege of Arcot, which was part of the Carnatic Wars between the French and British prior to the Bengal feats, established his reputation, superhuman stamina, and ability to think on his feet. According to James, the blockade instilled two traits in every British commander – audacity, i.e. “when a tactical choice existed, take the most daring one”, and the ability to embrace risks to “encourage Indian sepoys”. At Arcot, a thousand soldiers, led by Clive were cooped in for 50 days. They were pitted against a French-Indian force of 10,000 men. However, Clive resisted “bribes, threats, bombardment and assaults”, and went into an unexpected and even foolish offensive that turned into a rout for his enemies. For many historians, Arcot in the Carnatic, and not Plassey in Bengal, was the “turning point in British (Indian) fortunes”. Contradictions, like in his military adventures, accompanied Clive throughout his life. After his first stint in India, when he sailed back for England in 1753, he had amassed £40,000, but had the Arcot tag on his shoulders. In his home country, he spent £5,000 to buy a seat in Parliament, which was overturned. When he returned to England for the second time after the British stranglehold on Bengal, he was glorified for the conquest, and viciously vilified for his 24 Parganas jagir. The day the East India Company approved the validity of the jagir, it also ruled that its Indian servants cannot accept any presents from the Hindoostani Rulers, Nawabs, Kings and Emperors without the consent of its directors. The same day, it appointed Clive as the new head of Calcutta. The new Governor’s responsibilities included “sort out political complication and suppress abuses – like extortionate present-taking, privileged private trade and open defiance of authority”. Ironically, Clive was consistently accused of all these misdemeanours and more. Most importantly, we also know of the insidious and profitable decisions he took as the Governor that enhanced his wealth, and those of his supporters and loyalists. Obviously, there were wheels within wheels in the Company’s empire within the British Empire. AT a cynical level, Clive thrived to increase the Company’s territorial hold in India. He constantly asked his employers to add more troops since he felt that the Indian revenues could easily offset the additional costs, and yet yield higher profits. He wrote to the British ministers on this issue. At the end of the day, it led to the dilution of the Company’s powers in India, and the expansion of the Crown’s. The first nail in the Company’s coffin was hammered by the Parliament’s Regulating Act of 1773. He added that every Company’s servant and Crown’s employee (army and navy) has taken presents. Clive was neither the first, nor would he be the last. In 1772, the East India Company was liable to pay more than £1.5 million in bills of exchange to its employees, who had returned from India. These bills represented the cash earned by its ‘servants’, who loaned their legal and illegal Indian earnings to the Company in India, collected bills, and exchanged them for cash in Britain.